Pasadena, CA – Truffles. To the untrained eye, this nondescript ingredient may resemble a lump of coal, but those in the know obsessively await the arrival of the coveted garnish. With his new Seasonal Mushroom & Truffle Menu, no one highlights the glory of the truffle better than Calogero Drago, Owner & Executive Chef of Celestino Ristorante in Pasadena. To true foodies, this one simple word ignites a plethora of sensual, luxurious memories that come only once a year – and that time is NOW (through the end of March 2015)! The Seasonal Mushroom & Truffle Menu at Celestino Ristorante kicks off with morels. Most commonly found in their dried form, morel mushrooms are only available fresh for just a very brief period each year. The rich, meaty flavor and texture of these fresh honeycombed ‘shrooms are portrayed with a rather simplistic elegance in dishes such as Tagliolini with Fresh Morel Mushrooms and Pecorino Cheese. 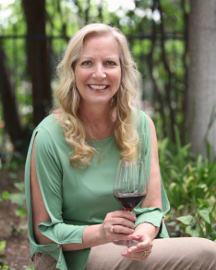 Make sure to savor the flavor of early spring in the Veal Scaloppini with Fresh Fava Beans & Fresh Morel Mushrooms, or delight in Chef Drago’s famed risotto with the Risotto with Baby Scallops and Fresh Morel Mushrooms. Next up on the menu is the porcini mushroom, whose pungent forest-floor flavor is special because it only grows wild. Celestino Ristorante showcases this “wild child” in a myriad of dishes. Enjoy it simply grilled and tossed in house-made pappardelle or risotto, or indulge in more complex entrees like the tender Roasted Rack of Veal with Fresh Porcini Mushrooms, as well as Porcini Mushroom Soup with Black Truffle, a great pairing with another late-winter delicacy. 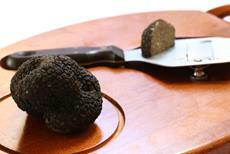 No, we have not forgotten the king of all mushrooms, the beloved truffle itself. Celestino Ristorante’s Seasonal Mushroom & Truffle Menu features five truffle options, including Veal Carpaccio with Fresh Shaved Truffle & Pecorino Cheese, Risotto with Fresh Shaved Truffle, Gnocchi Stuffed with Mushroom in a Truffle Cheese Sauce and Filet of Sole with Mixed Vegetables and Shaved Truffles. But the most luxurious option is Drago’s absolute favorite: Tortellini with Meat in a Saffron, Pecorino and Black Pepper Sauce with Fresh Truffle. “Truffles will go with just about anything, but this tortellini dish is my favorite,” Drago says. For those who want to take luxury to an even higher level, Celestino Ristorante also has the incredibly rare white truffle on hand. 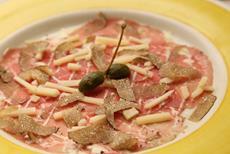 Availability is very limited, so ask your server for the daily white truffle specials. Ready to taste the best of the mushroom kingdom? Reserve your table at Celestino Ristorante before the end of March 2015. 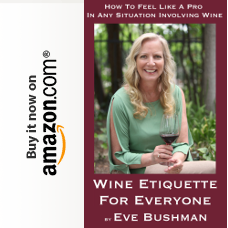 You won’t want to miss this – it is true poetry on the palate! Celestino Ristorante is open for lunch Monday through Friday from 11:00 am to 2:30 pm and for dinner from 5:30 pm to 10:30 pm Monday through Thursday, 5:30 pm to 11:00 pm Friday, 5:00 pm to 11:00 pm Saturday and 5:00 pm to 10:30 pm Sunday. The Seasonal Mushroom & Truffle Menu is available through the end of March. 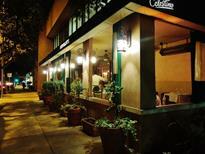 For information or reservations, please call 626.795.4006 or visit www.CelestinoPasadena.com.